The 2018 Chrysler Pacifica bucks the trend of ugly minivans, aiming to be something more than just a small school bus with sliding doors. The Pacifica is more stylish than the average van, adding styling flair to the square people-moving box that is the segment's norm. With a muscle car-like stance, a sleek profile, and some sporty design to its rear hatch and side paneling, the Pacifica becomes a great-looking ride. The fascia of the 2018 Pacifica is very much like Chrysler's sedans, especially the now-discontinued 200. The tapered and blackened greenhouse helps hide the minivan's size and purpose, subduing the "small bus" look every van has. Wheel wells are angled slightly rearward and the rear wells are pulled in so that the van's wheels are pressed to the edge for a muscular look. 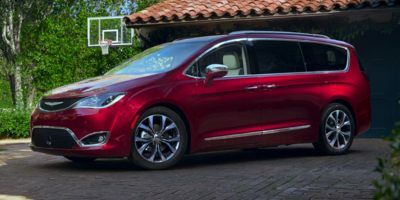 The overall look of the 2018 Chrysler Pacifica is very well done and some packages and color options can further enhance the Pacifica's uniqueness and cool factor. The 2018 Pacifica is as roomy as a minivan can get, with plenty of space in all seating positions and for everyone's stuff. The third row seat sits three across and is adult-friendly, at least for short trips. We'd recommend using it for the kids, though, and letting the adults have the middle row captain's chairs and the front driver and passenger seats. All four of these seats are extremely comfortable and well-done. Ergonomics abound in the new Pacifica, with gadget, small item, purse, etc. storage everywhere. Up front, there is a large space between the center storage bin and the firewall where a purse or briefcase can be stowed. Bins and slots for phones, music players, and cords are also plentiful up front. Legroom is excellent in the Pacifica and headroom will accommodate even NBA players. The second row is likewise treated to good space and some storage options. Small items can be stuck into the front seatback pockets ahead of the second row's passengers and USBs and other plugs are available in the second row in most of the Pacifica's trim packages. Below the second row's feet are large storage bins for gear or stuff and which otherwise allow the second row seating to fold down into the floor for a completely flat cargo floor between the sliding doors. The third row folds back into the floor in a split-fold setup below the rear cargo bin. That bin otherwise allows for a huge amount of cargo storage behind that third row. 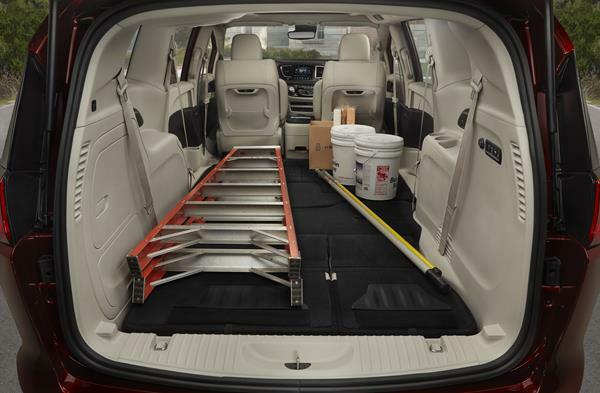 With all rows folded, the cargo capacity of the Pacifica allows for full sheets of plywood or sheetrock to be laid flat in the van. There are 32.3 cubic feet of space behind the third row, 87.5 cubic feet with the third row stowed, and 140.5 cubic feet with both rows down. We note that in the Hybrid model, the second row does not fold into the floor (that's where the batteries are), but remove instead. 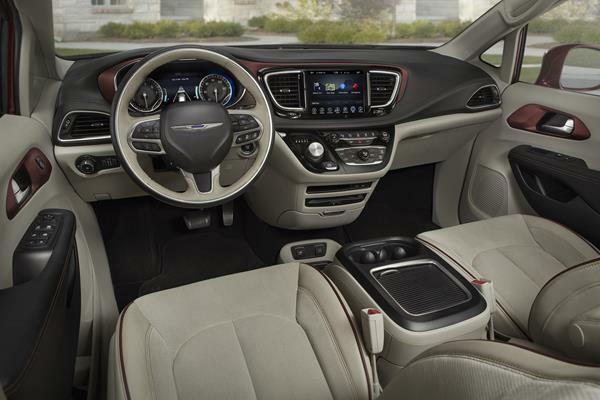 The interior of the 2018 Chrysler Pacifica is very well done and made up of quality materials, no matter the trim level chosen. It's ergonomic, comfortable, and nicely designed to allow easy access to all seating positions. For 2018, Chrysler updated the base model Pacifica to include a 7-inch touchscreen with apple CarPlay and Android Auto as standard. Bluetooth and a USB port are also standard. More USB ports are added in the Touring trim levels and an upgrade in those trim packages adds the 8.4-inch Uconnect touchscreen with more advanced audio and connectivity options. Navigation then becomes an option as well. The larger screen becomes standard in the Touring L Plus and Limited trim points. That screen offers one of the best infotainment interfaces in the business, with great ease of use and fast responses on a big, clear screen. Good apps access and excellent Auto/CarPlay connections are the norm. Also available in the Pacifica is a rear-seat entertainment system that features two touchscreens that fold up from the front seat backs. These screens have in-vehicle apps for games and play in which users can play things like tic-tac-toe and "I Spy" with one another. A built-in DVD player or any connected player (including Android devices) can play media to the screens individually or to both at once. USB memory sticks and the like can also be used to put digital media on the screens. Wireless headphones provide audio or it can be piped throughout the cabin. The 2018 Chrysler Pacifica is EPA-rated at 18 mpg in the city and 28 mpg on the highway with its standard gasoline-powered drivetrain. In the real world, after a week with the van, we saw about 23 mpg combined, which is good for the class. 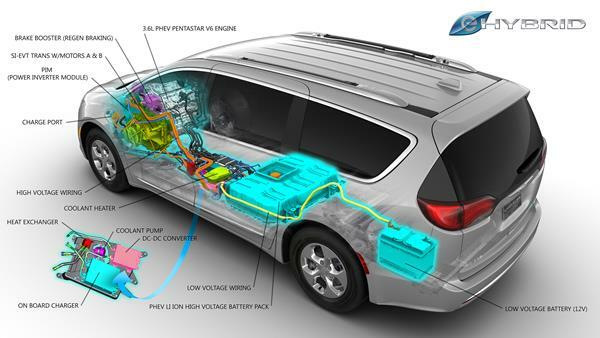 The Pacifica Hybrid model is a plug-in hybrid that uses the same six-cylinder engine as the standard gasoline, but adds batteries and two electric motors along with a more efficient transmission. This allows up to 33 miles per charge (we averaged about 27 in town) and keeps the standard gasoline model's 22 mpg combined rating. When fully charged, the 2018 Pacifica Hybrid is capable of 84 MPGe in all. Our average was about 24 mpg over a long road trip with a full charge upon leaving one-way. We otherwise achieved well over 40 mpg during normal driving use when starting with a full charge. The 2018 Pacifica and Pacifica Hybrid are both rated as "Better Than Most" by the J.D. Power and Associates Vehicle Dependability Study. There have been no recalls on the Pacifica and after a year of production, it seems to have gotten the kinks out. 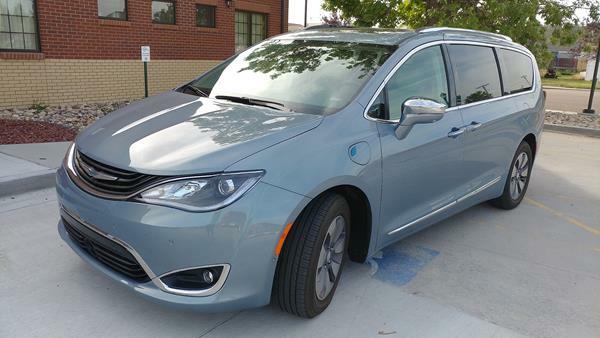 The 2018 Chrysler Pacifica and Pacifica Hybrid are both rated with 5 stars overall by the National Highway Traffic Safety Administration (NHTSA) and with a full suite of top-notch "Good" marks from the Insurance Institute for Highway Safety (IIHS) with the exception of the new small overlap front passenger-side test, which received a score of "Acceptable." The Pacifica's crash avoidance technologies were rated as Superior. The IIHS rates the 2018 Pacifica as a Top Safety Pick. The 2018 Pacifica gasoline model is powered by a 3.6-liter V6 that produces 287 horsepower to a nine-speed automatic transmission in front-wheel drive. This combination creates good power and drive for the Pacifica without breaking the MPG bank. The transmission smoothly shifts through the gears, though there is some gear hunting in the 30-40 mph range as it tries to find the sweet spot. Low-end acceleration is good, but not fast and the Pacifica does take a little time to get up to highway speeds. Most will find it adequate, however, and will not have many complaints. The 2018 Chrysler Pacifica Hybrid utilizes the same engine in a more efficient format, coupled to a continuously variable transmission (CVT) and two electric motors. A total of 260 horsepower is in the offing, but a lot of that power is delivered early thanks to the electric motors having full torque output from a standstill. This makes the Hybrid model feel more peppy in the lower speeds. The Pacifica Hybrid is rated at up to 33 miles of all-electric driving before the engine kicks in. A full charge from a standard household (120V) outlet requires about 14 hours and a 240-volt level 2 charger pushes that down to just two hours. Lacking from the Pacifica Hybrid is the option to force electric-only driving or avoid it in order to save it for later. The Hybrid model uses the EV setup first, all the time. On the road, the 2018 Chrysler Pacifica is a good drive with great maneuverability and plenty of get-go for most driving situations. On the highway, it's remarkably quiet for its size and handles well in most daily driving and weather conditions. The Hybrid model drives quietly in EV mode and regenerative braking works well enough for its purpose. 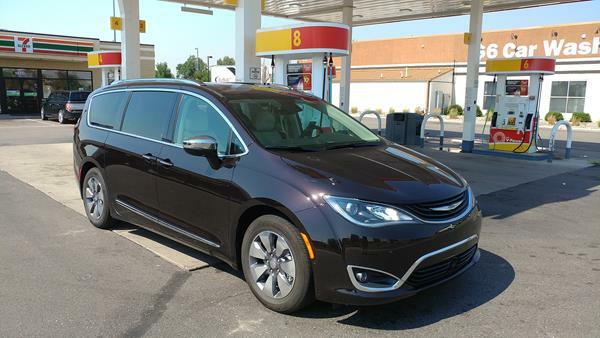 In all, we like the way the 2018 Pacifica handles and note that the Hybrid model adds some improved balance to its feel when there are no passengers in the van. In three-row options, the minivan often reigns supreme in terms of people-hauling ergonomics and versatility. The Pacifica is one of the best in this breed of family options and offers a lot for the growing family on the go. We recommend that buyers look past the lower-end trims, which are good for those on a budget, but not as good as some rival options. Instead, the Touring L model in the mid-tier offers most of the goodies today's buyer will want and at a good price balance. The Touring L Plus then adds a lot more, but at a steep cost, so buyers should shop carefully. Most buyers who are interested in the Touring L Plus might want to look at the more efficient Touring Plus or Touring L models of the Pacifica Hybrid, which are priced almost equivalently and which adds in some government incentives. The Hybrid model comes standard with most of the desirable equipment buyers are likely to want. Chief competition against the 2018 Chrysler Pacifica includes the Honda Odyssey, Kia Sedona, and Toyota Sienna. All three have something to offer as strong minivan options, with the Odyssey having a solid drive dynamic and excellent interior but less style than the Pacifica. The Sienna offers an all-wheel drive option and a class-leading interior design while the Sedona offers a lower price tag and equally excellent interior. 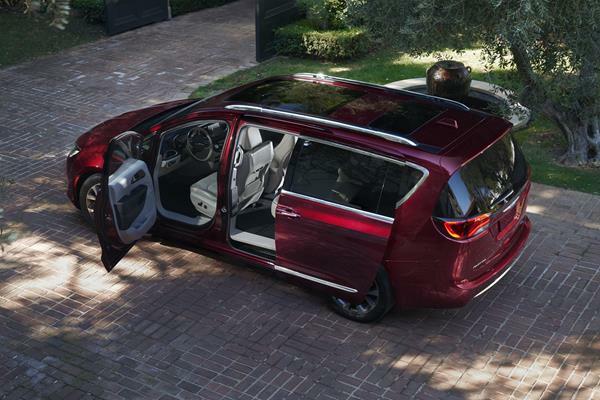 None of the other minivans have a hybrid option and the Chrysler leads in terms of design and infotainment. Other options against the Chrysler Pacifica would include large three-row crossovers, all of which are often good choices for growing families. But none will have the same kind of people-hauling ergonomics, interior space, or comfort as does a minivan. 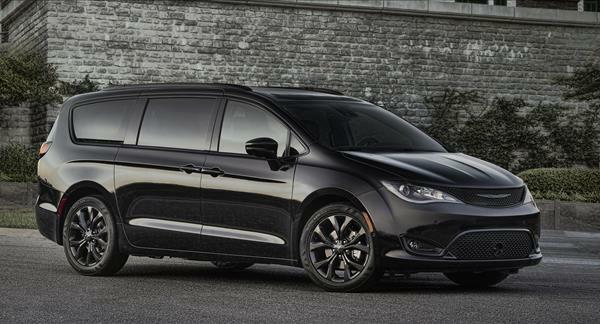 The 2018 Chrysler Pacifica is the benchmark for a minivan today. The Pacifica offers extreme roominess, beautiful design, and a good drive dynamic. The Hybrid model offers fuel efficiency and balance as well. Interested to see how the 2018 Chrysler Pacifica ranks against similar cars in terms of key attributes? Here are the 2018 Chrysler Pacifica rankings for MPG, horsepower, torque, leg room, head room, shoulder room, hip room and so forth.